Leaving DD for more than an hour for the first time, and going to my first day of the five month long, four hours per day (at least six including the break and commute both ways), five days per week language course. I’m trying to get my things together (paperwork, pencil case, notebook/paper, pump and accessories, food and water for me, and I still have to choose a book and crochet project) and can’t quite get into a book review I’m afraid. Trying to make sure DH and DD will have everything they need (milk and apparatus to get it into her) and hoping I’m going to get some sleep tonight (but DD is asleep now and was for most of 12 hours today, so I may be out of luck). 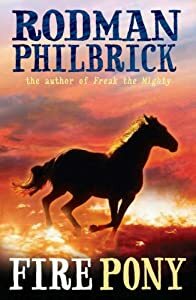 After enjoying Freak the Mighty so much, I thought I should try more by Philbrick, and came across this novel. There are some strong thematic similarities, with both novels told by a quiet orphaned boy in difficult family circumstances that he has little or no control over, who is failing in school. The settings are quite different, however; whereas Max might have quite enjoyed starting again in a place where no-one knew his family story, here Roy keeps being displaced. While Max lives in suburbia with older predictable adults (his grandparents), Roy is following his firebrand brother Joe Dilly around the rural horseranches of the western US. I liked this novel a lot. 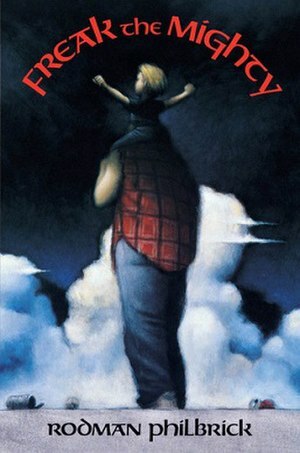 It has a related feel to Freak the Mighty, but is a quite different story. It doesn’t downplay the technical details of looking after lots of horses, but doesn’t overwhelm with them either. Certain scenes remind me of Black Beauty, in a good way, but this is definitely a modern tale. It has a light touch with many of the moral issues, but there are lots of them there. One I want to reread, I think. 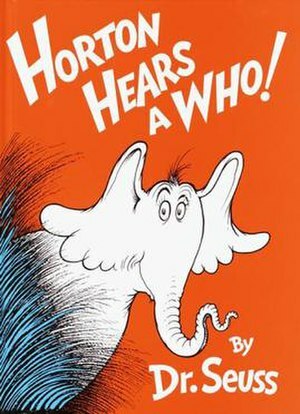 I have read this before, and both times found it funny, poignant and a great story. Our narrator, Max, is orphaned of his mother, because his father (who he increasingly physically looks like) killed her. He lives with his maternal grandparents, and obviously no-one has anything good to say about his father. Unfortunately his family is well known locally, meaning people (including his grandparents) are constantly reminding him of the things that happened when he was a little boy, and worrying aloud that the resemblance will be more than superficial. This seems to have caused him to retreat into the persona of a big lug: large, physically strong and with little or no academic prowess (even though at least some of his teachers think he has potential if he’d use it). Things start to change when a good friend of his mother’s returns to the area, moving into the house next door with her son, happy to be nicknamed Freak, who Max remembers going to preschool with. Freak is physically weak and very small in stature, but has a highly developed intellect and taste for pretence and adventure. The two strike up a strong friendship, with Max becoming the Mighty part of the duo, and each enabling and encouraging the other to be more than he can alone. While each retains some secrets, the two boys do each other a lot of good in many ways, with Max in particular being a stronger, more confident and more accepted member of his family and community. There is apparently a film of this book, entitled simply The Mighty, but I haven’t seen it. 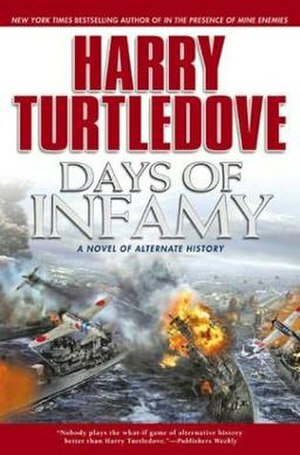 It seems Turtledove writes two types of alternative history: one, as in The Guns of the South, previously discussed here, uses a science fiction mechanism to change things (there time travel, in his Worldwar series an alien invasion); the second, as here, simply posits a different decision being taken somewhere along the line that he feels would have caused a significant deviation from our recorded history. He will then write about the same episodes in history (usually major wars, from the books I’ve seen) through both mechanisms, as completely separate series or individual books. In this particular book, the Japanese when attacking Pearl Harbor (my UK spell-check thinks that should be ‘harbour’, but as a place name I’m disagreeing) back up the devastation of its forces by air attack with an invasion, taking the islands and thereby not only slowing the Americans down in the Pacific, but also giving themselves a base from which to attack the US mainland‘s West Coast. This is where I should admit that my knowledge of the Pacific part of WWII is pretty sketchy, and largely based on novels and films. (As a European Jew, my studies of WWII tended towards the Holocaust and the war in Europe.) I can’t comment much, therefore, on where the history and the alternative diverge, but certainly Turtledove makes everything seem pretty plausible. As a novel, the story certainly works. We have several viewpoint characters, both Japanese and American (and one Japanese man who’s been living on Hawaii for decades but can’t quite understand why his sons consider themselves American rather than Japanese). All but one or two of these are based on and around the Hawaiian islands for most of the novel, and those are US mainlanders who give us some perspective on how things are being seen from afar, as well as in positions likely to get them more involved later in the series. I think the mix is good to show us what’s happening to the various populations involved, and yet the characters are developed individuals that we can care about or at least understand. I don’t have the sequel to this yet, but I am looking forward to it. I’ve really taken to Turtledove’s alt. history, and they’re good and thought provoking. I’m not adding this book to my list of what I’ve read this year, because I’m missing 30 pages of it (to be precise, pp121-152 repeat, and then the text skips straight to p185 in my copy), but I think I’ve read enough of it to discuss here anyway. I’ve read Charlotte’s Web several times as a child, and heard of Stuart Little, but I hadn’t come across this E. B. White book before. It’s the story of a boy who loves nature (Sam) who on one of his regular camping trips with his father sees a pair of Trumpeter Swans nesting, and who keeps an eye on them as much as he can. More specifically it’s the tale of Louis, one of the cygnets, who is lacking a voice. 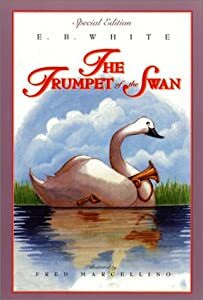 His parents consider this quite a serious handicap, since a male Trumpeter Swan attracts his mate with his call, and so his father undertakes to obtain a trumpet for him, while Louis and Sam find some even more unorthodox means of communication for him. As in Charlotte’s Web, the animal stars generally understand human speech and some experts understand human culture in great detail, even though the humans do not understand animal conversation. Those with such expertise find ways to interact with humans to get what they and their family/friends need. In this book the interaction is much more extensive and two way, with the animal stars deviating much further from expected species behaviour. I generally enjoyed the tale, although I found it a little more twee than I expected. If it comes up I’d like to get a complete copy for DD when she’ll be old enough to appreciate chapter stories. This isn’t a story, and it isn’t entirely a structured game either. Realistically I think DD is too little for it, and we may do better with it in about a year, or even more, when she’s running, jumping, pushing boundaries and more. Each double page features first a sentence and picture describing and showing ‘correct’ behaviour with a piece of furniture or common object, and then the second shows and describes a more active and sometimes (depending on the family and its rules) a boundary pushing way of using it. So the first page says, “Chairs are for sitting on.” The pictures shows a woman sitting on an armchair, stroking a cat on her lap, while the little boy shown throughout sits at her feet with a toy in his lap. The next page’s text reads, “Bounce bounce bounce!” and shows the toddler bouncing with his toy on the armchair while the cat flees. I think this is one we’ll keep back for later.